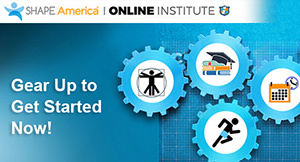 SHAPE America offers a wide variety of professional development opportunities, including standards-based workshops, webinars, timely podcasts and events for preK-12 educators, college/university faculty, coaches and researchers. 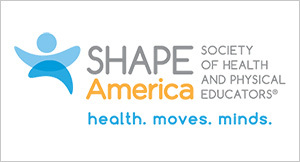 SHAPE America Sets the Standard for Health and Physical Education. Our National Standards for K-12 Physical Education serve as the foundation for well-designed physical education programs across the country. 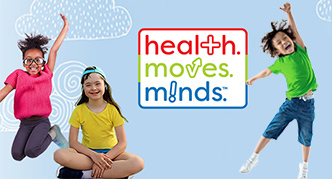 SHAPE America offers recognition and grant opportunities for health and physical education professionals, future professionals and programs. 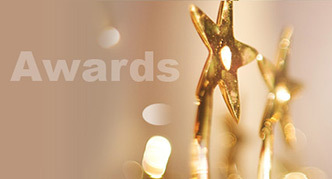 Take a look at funding opportunities and resources available. New ideas, new connections and plenty of inspiration are waiting for you at SHAPE America's national, regional and online events, including the SHAPE America National Convention & Expo. 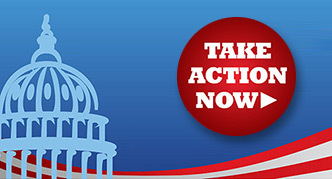 SHAPE America's position statements, guidance documents and advocacy resources are useful tools for anyone advocating for effective health and physical education at the local, state and national level. 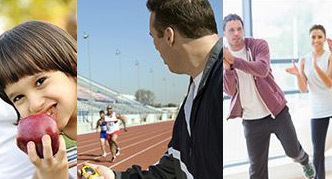 Stay informed about the latest topics and trends in physical education, health education and physical activity with SHAPE America journals, web resources and professional development opportunities. Electronic cigarettes (e-cigarettes) are battery-powered devices that produce an aerosol by heating a liquid that usually contains nicotine and other chemicals. The behavior of e-cigarette use is referred to as vaping because e-cigarette users (or “vapers”) inhale and exhale aerosol or vapor instead of cigarette smoke. E-cigarettes are now the most commonly used tobacco product by youth in the United States. Aggressive marketing strategies by tobacco companies on the Internet and social media promote e-cigarettes as a “harmless” and “cool” product replacement for conventional cigarettes, which is appealing to the younger population. Because of the inconclusive scientific evidence related to the impact of e-cigarette use on health risks, e-cigarette use has seen a heated debate among the scientific community and policymakers about how to regulate this new product. The controversy has triggered much media attention in recent years. The sheer number of media focusing on the e-cigarette debate may inadvertently have a significant effect on media users through “social exposure”—a concept that describes the various ways in which people come in contact with a particular behavior that shapes their norm perceptions. Despite the assumption that mass media play a role in producing normative perceptions, research has so far mostly examined how interpersonal influences affect norm perceptions. Social norm researchers noted that other significant sources for the development of norms, including the mass media environment, have not sufficiently been researched, which undermines the understanding of the link between an individual’s environment and the formation of social norms about a health behavior. The present research investigates how exposure to news articles about the controversy surrounding e-cigarette use may shape individuals’ perceived prevalence of the behavior, namely, perceived descriptive norms. In particular, we examine this question among a sample of college students, who are increasingly using e-cigarettes. Scholars have called for considering college students as a distinct priority population due to their developmental context, needs, and community. According to the theory of normative social behavior (TNSB), perceived descriptive norms influence behavior. Accumulating studies have empirically documented the powerful impact of descriptive norms across behavioral domains and cultural contexts. Many social norms campaigns in the United States aim to promote positive behavior changes through readjusting individuals’ biased descriptive norms related to the target behavior. Public health campaign messages utilizing normative appeals often craft messages by incorporating normative information that indicates either a low prevalence of an undesired behavior or the high prevalence of a desired behavior to encourage behavior changes through conformity to perceived norms in society. To read the rest of this article, click here to download a pdf.